Next review Bookvip - Caveat Emptor! Bookvip - I thought this was too good to be true but folks this is real! I thought the deal was too good to be true, but I gave it a try anyway. When we arrived at the hotel, they confirmed what was included in our All Inclusive (AI) package. Only catch is to attend a 90 min resort preview. It was so worth it as you get free food throughout your stay, discounts at local restaurants and stores, and free non-motorized water activities all included in AI package. It was one of the best experience I've had with a travel agency. 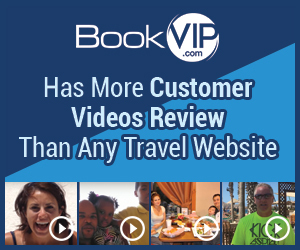 I would definitely do it again with BookVIP! Review #787883 is a subjective opinion of testimonial.